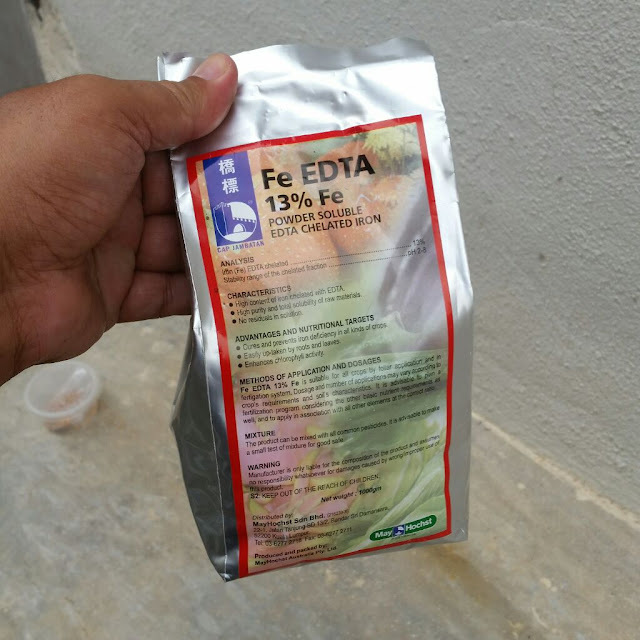 Chelated Iron like Fe 13% EDTA are use in agriculture as a supplement to ensure yellowing leaves don't occur and enhance production of chlorophyll in leaves. They can be use as a foliar spray either on its own or mixed with common pesticide. 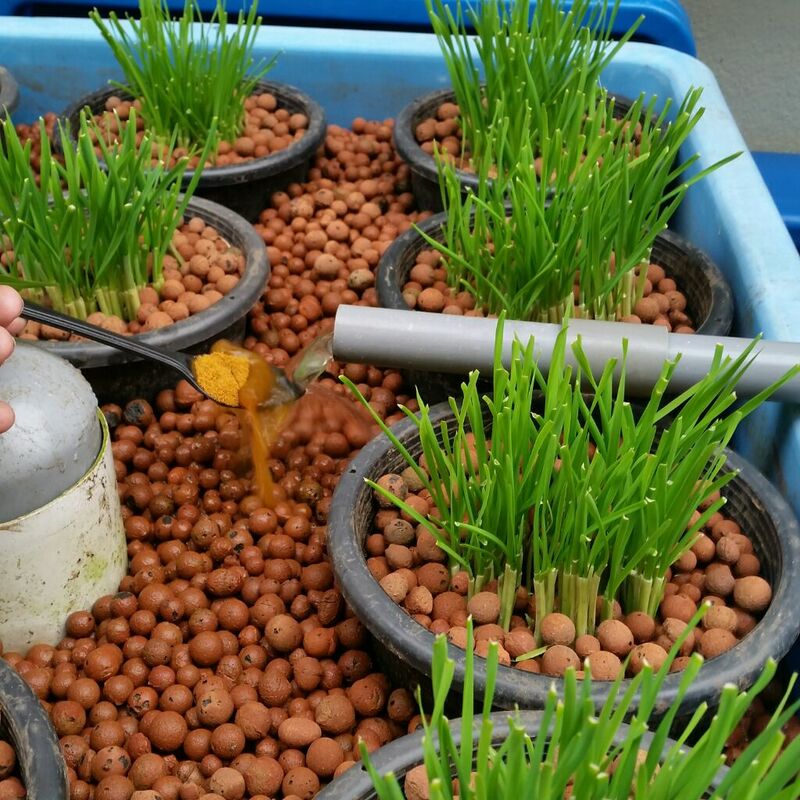 It can also be administered through fertigation solution. 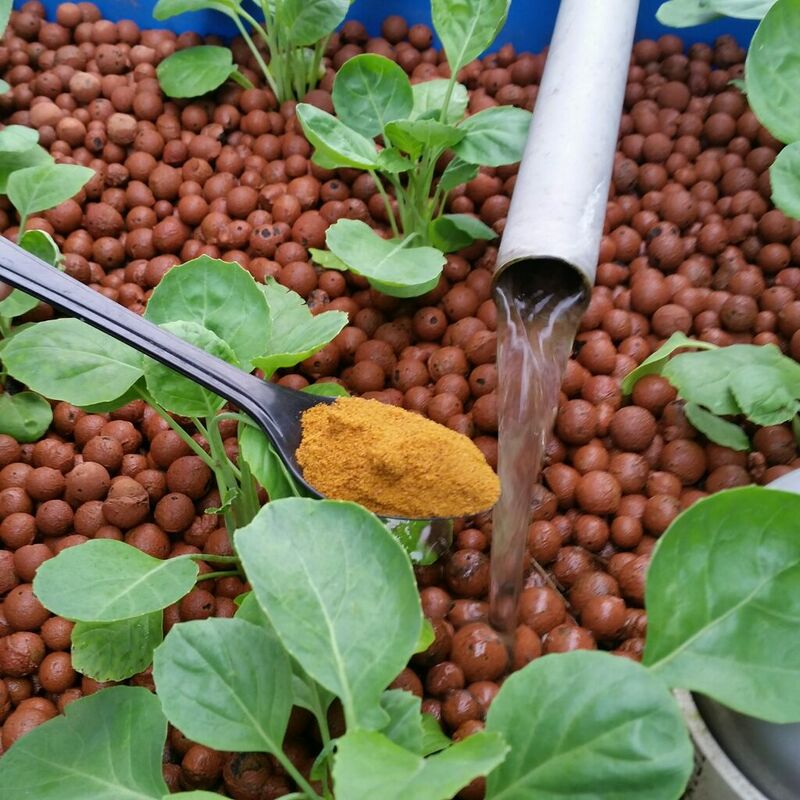 Fe EDTA in aquaponics we add to growbed either to the growbed or the fish tank. I would recommend the earlier since it will not be directly available to the fish in it undissolved form that those hungry fishes think it's fish food. How much to add? As home setup I must say, I add only as much as it's required. They are extensive post in forums about how much to add with volume of water in your system etc but I don't bothered about it. In aquaponics, water is constantly circulating so like ammonia in the fish tank iron will be continuously circulated in the system and the plants will uses as it needs. It is not like the foliar or fertigation method that may be excessive hence wastage upon application. I have four growbeds in this CRAFTS setup, I put one tablespoon into each growbed at the water inlet. 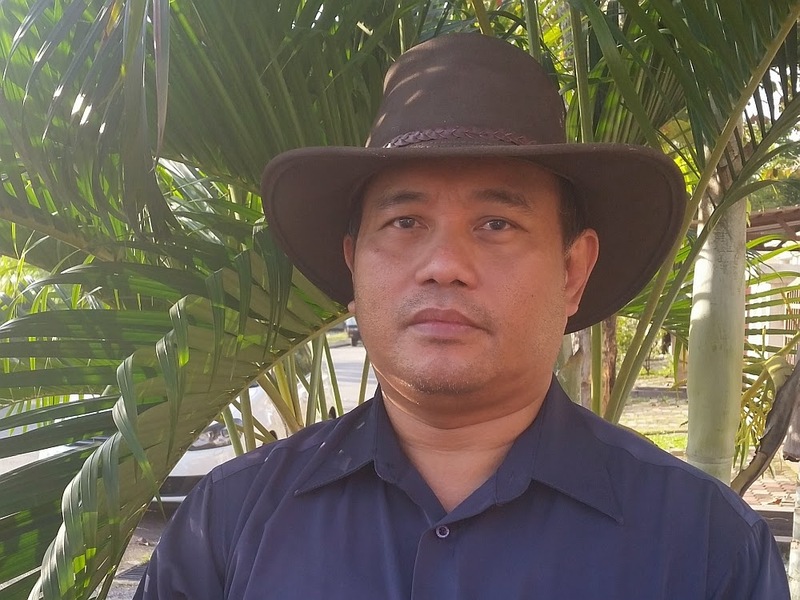 Usually it will be enough, nothing is wasted since it will be circulating in the system. This particular Fe EDTA works from ph range of 2 to 8. 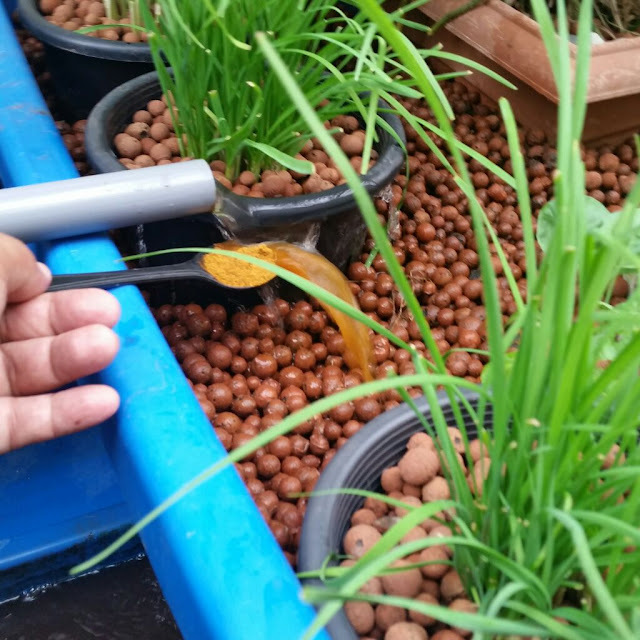 Most of my aquaponics set the ph is about 6.7 to 7.3, so it should work. Ok.. that the small tips.